Rabat is the cosmopolitan capital of Morocco. With over 500 000 residents, it is the seventh largest city of the country. Rabat offers you a clean central beach, and a tour into the past with its wealth of stunning historical buildings and sites. 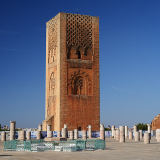 The top attractions of the city include Kasbah of the Udayas, Chellah and Hassan Tower. Cheap flights to Rabat are now available for a limited period, so prepare yourself to explore this beautiful city. 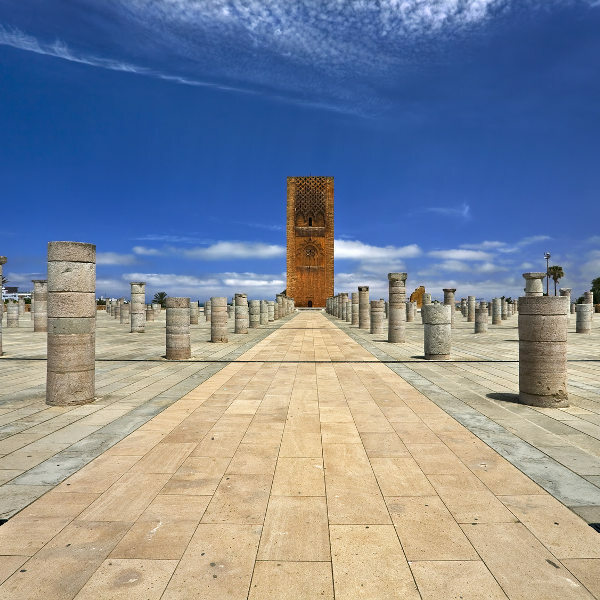 This destination is served by the Rabat–Salé Airport (RBA), which is a 30-minute drive from the city centre of Rabat. 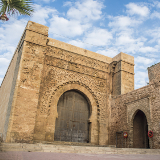 All around Rabat, you can explore a wealth of ancient and magnificent structures, including the Kasbah of Udaya, Hassan Tower and the Mausoleum of Mohammed V.
Rabat offers a break from the crowds of tourists in Casablanca, ensuring that you can indulge in the city’s attractions at your own pace. The old city of Chellah has become a breeding ground for birds, ensuring bird watchers will be in for a treat. The best time to visit is from May to September, when there will be discounts in terms of accommodation. During this period, you can enjoy warm to hot weather with low rainfall. Avoid visiting during the high season, which runs from November to March. This is the most popular time to visit, with accommodation prices at their highest and bigger crowds. Rabat, the political and administrative capital of Morocco, offers you a beautiful holiday destination. The coastal city will charm you with its magnificent colonial architecture, palm-lined boulevards and a multicultural atmosphere. Explore this destination’s nearly traffic-free streets and some exceptional attractions. The majestic Old Medina is always worth a visit, untroubled by the usual rush of tourist crowds. 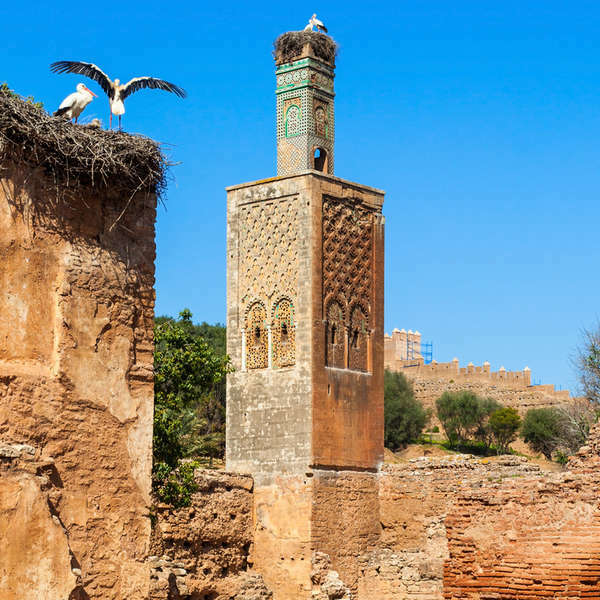 Then, there is the historic Kasbah of the Udayas, the ancient Hassan Tower and the Mausoleum of Mohammed V.
Another historic site, Chellah, the old city, has become an amazing breeding ground for birds. 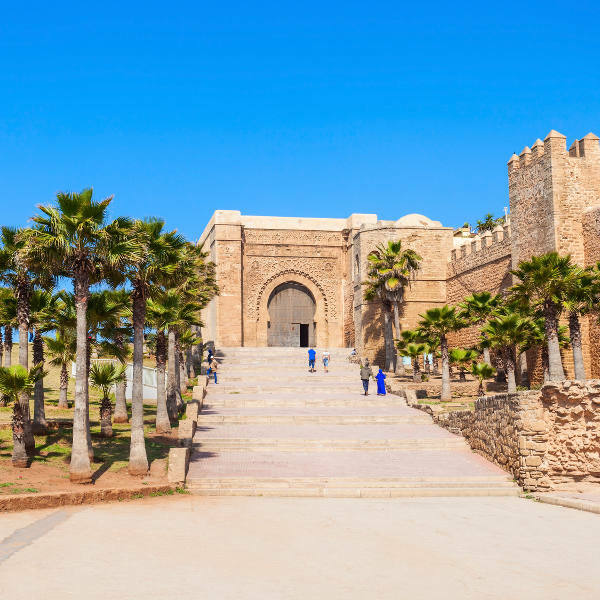 Get an insight into Morocco’s history at the Bank Al Maghrib Museum, the National Archaeological Museum and the colossal Royal Palace, or relax at Rabat’s clean central beach. Compare several airlines, and book your cheap flights to Rabat online at Travelstart. Rabat has built a reputation as a safe destination. It would still be wise, however, to use some common sense, by avoiding wearing any expensive looking clothing or jewellery and always keeping your valuables and large amounts of money out of sight. If you use the bus or walk in the Medina, keep your hands on your pockets. Women should avoid wearing provocative clothing to prevent the chances of harassment (which is mainly verbal and not physical). A large selection of hotels, from 3- to 5-star rating, are available throughout Rabat, some close to the coast. They include a range of features, including massage services, restaurants, bars, spas, pools and free breakfast. The average cost you can expect to pay at these establishments ranges from 464 د.م to 3872 د.م. The hotels located inland include Hotel Mercure Rabat Sheherazade, Helnan Chellah Hotel & Spa, and Ubay Hotel, while those close to the coast are Lutce Hotel, Riad Oudaya, and Hotel Bouregreg. One way of travelling around Rabat is the tram, which has two lines between Rabat and Salé. There is a tram every 10 minutes during the week and every 20 minutes on Sundays. On the road, use the Petit Taxis, which are blue in colour. This is another affordable way to travel around the city. Make sure to watch the meter to avoid being overcharged and don’t be surprised if the driver stops to pick someone else up. Avoid the Grand Taxis (white Mercedes vehicles), as they are more expensive than and not as safe as the Petit Taxis. Alternatively there are buses. If one gets crowded, beware of pickpockets. 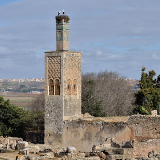 As for walking around, Rabat is safe enough for that and will offer a pleasant experience.